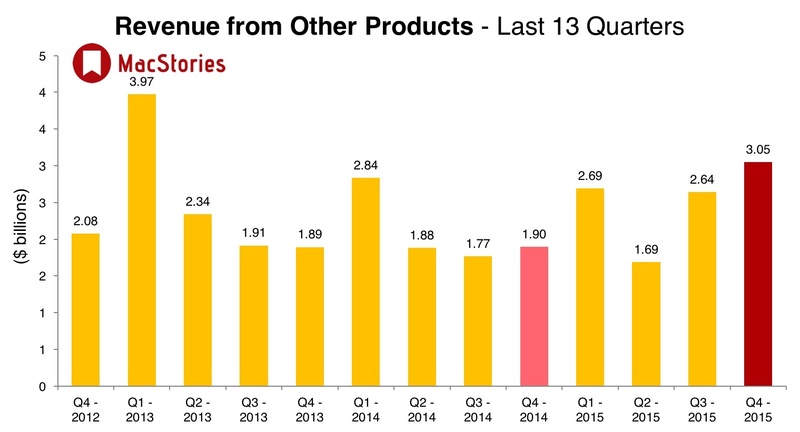 Apple has just published their financial results for Q4 2015, which covered the three months from July to September 2015. The company posted revenue of $51.5 billion. The company sold 9.8 million iPads, 48 million iPhones, and 5.7 million Macs, earning a quarterly net profit of $11.1 billion. 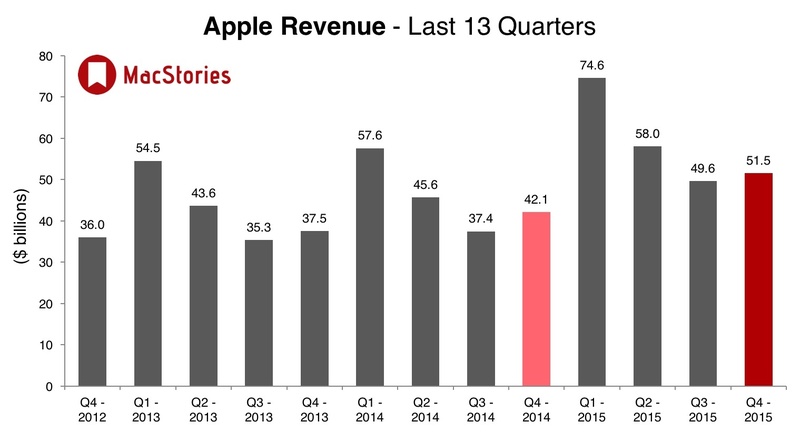 Apple's guidance for Q4 2015 fell between $49 billion and $51 billion. Today, Fortune surveyed a number of institutional and independent Apple analysts, and found that the average prediction was for Apple to earn $51.38 billion in revenue and an earnings per share of $1.92. The analysts estimated that Apple sold 48.89 million iPhones, 10.23 million iPads, 5.67 million Macs, and 4.02 million Watches in Q4 2015. 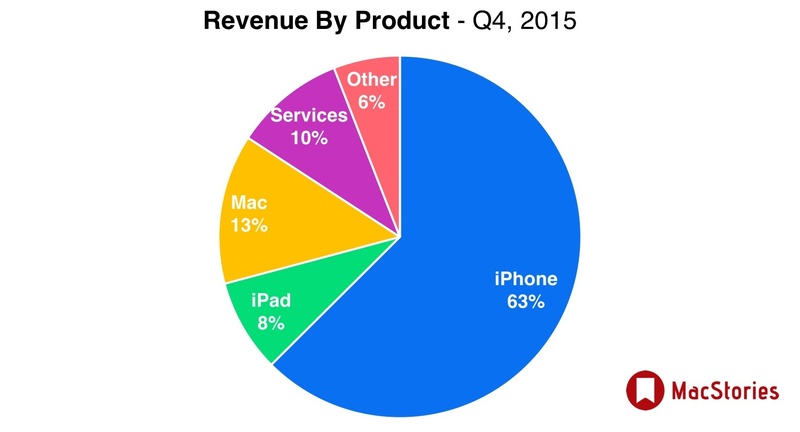 In the year ago quarter (Q4 2014), Apple earned $42.1 billion in revenue, and $8.5 billion in profit. 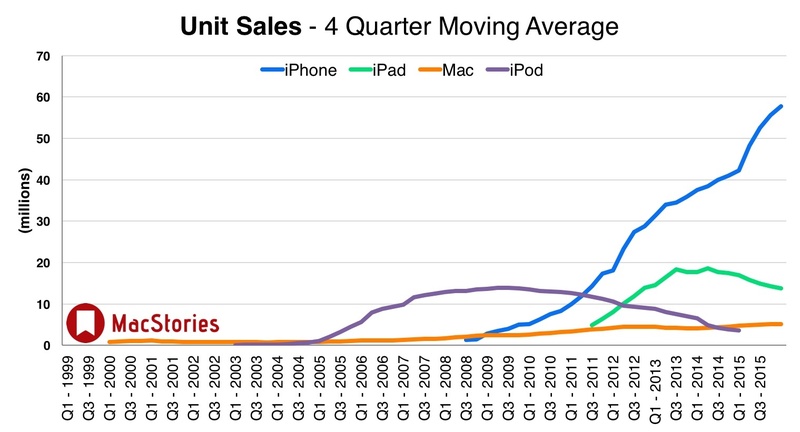 During that quarter Apple sold 39.3 million iPhones, 12.3 million iPads and 5.5 million Macs. 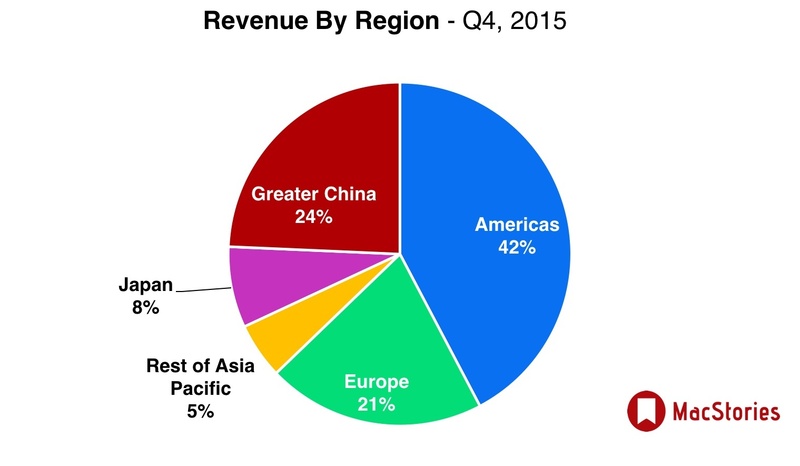 Apple has reported $234 billion in revenue in fiscal year 2015. Over 300 million devices have been sold in the last 12 months. Apple has crossed 100 billion cumulative downloads on the App Store. 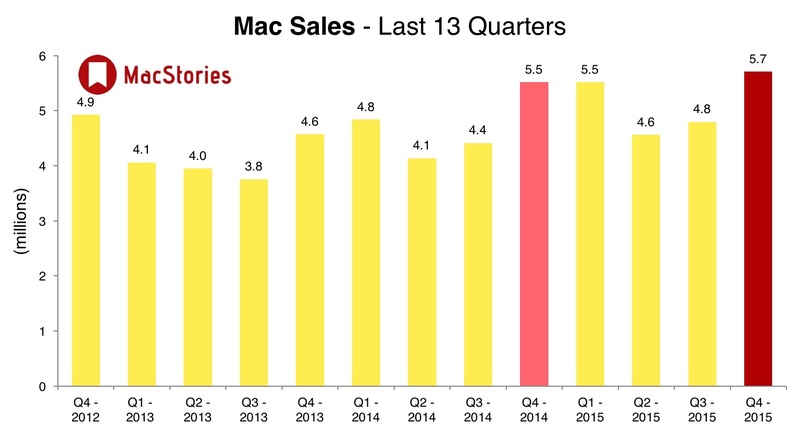 Growing sales of Macs defy the industry trend, which contracted by 11%. Apple has completed 15 acquisitions in the last 12 months. Today, over 13,000 apps are available on the Watch App Store, including 1300 built for watchOS 2. 61% of devices are on iOS 9. More than 1600 HealhKit apps are available on the App Store. Over 50 brands are working on HomeKit accessories. More than 50 automobile models have been announced with CarPlay support. 40 million people are reading in Apple News, with more than 70 publishers signed representing 100 titles.
.@CNBC: Cook sees no signs of China slowdown, was there just last week. 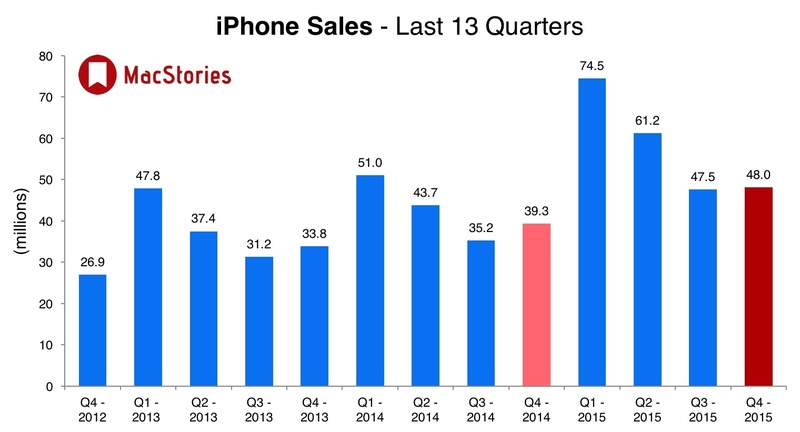 Apple's Cook: 30% of Iphone buyers during fiscal q4 came from Android switchers, highest ever measured by Apple. 30k Macs inside IBM, adding 1,900 per week. Luca: Revenue 99% up in China. Emerging markets performance strong overall, up 65% year over year. 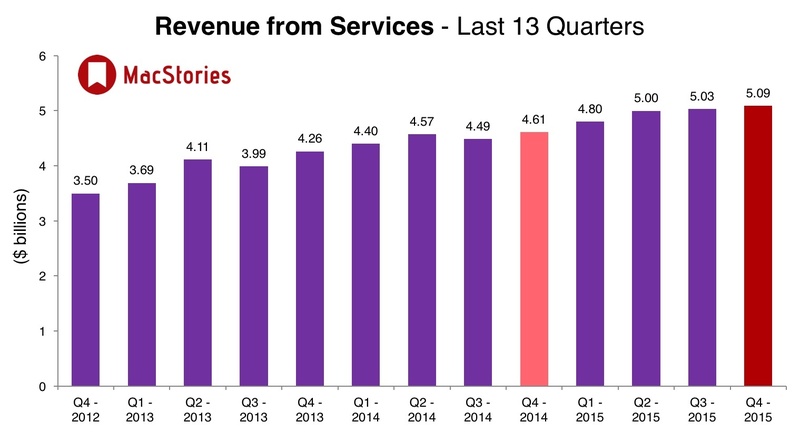 31% of total company revenue. Luca: Apple Watch available in 5,000 locations in 32 countries. Tim Cook says that Apple did $25 billion in enterprise sales last fiscal year--almost as much as its total revenue in 2007. 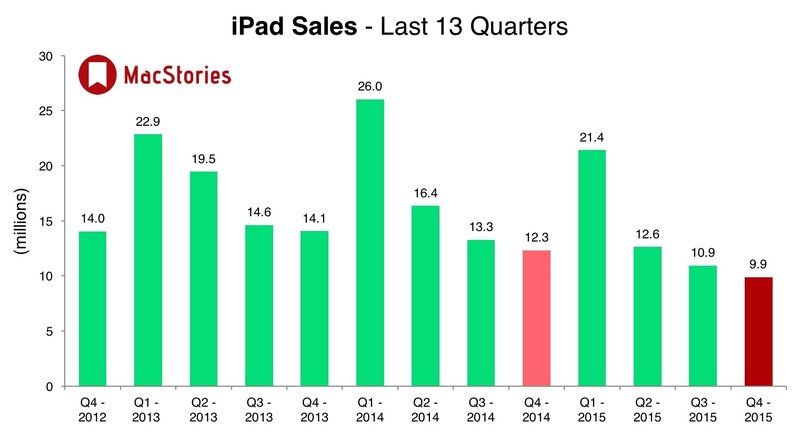 Below, we've compiled a graphical visualization of Apple's Q4 2015 financial results.